Desiring God featured two blog articles this week that beg to be expanded and completed in a book about how the Gospel of Jesus Christ holds the cure for male-pattern laziness. I saw my own lazy tendencies described, and I was encouraged by the refreshing wisdom offered. Paul Maxwell’s two blog posts are titled, “The Complicated Life of Lazy Boys” and “Put Laziness to Rest”. Read these intros, and then click the links to go to Desiring God and read the rest. Well, read, then rest. The modern man has a major branding crisis. Most sum him up in one word: lazy. There are different ways to pronounce the word — dependent, wasteful, inept, ungrateful, complacent, unworthy, unimpressive, undisciplined — all with one root: the failure to do. Avoid work, and aim for the bare minimum. Cycles of laziness eventually turn into cycles of violence. As our muscle for self-denial in work atrophies through inactivity, our ability to deny ourselves in relationships weakens as well. The seed of abusive inclinations is embedded in the selfishness of our laziness. A man who dishonors himself will eventually dishonor others (Proverbs 18:9). Male laziness, though, is both misunderstood and underestimated by most. Until we understand laziness, we will never be able to work well. We have tried yelling at and mocking men, and that has not worked often or for long. Instead, let’s look at the complexity of laziness to see the deeper business underneath it and how the gospel heals and empowers lazy men. There are (at least) five vicious cycles that perpetuate male inactivity. Each highlights a different logic behind our tendency toward laziness and complacency. One of the criticisms I have heard about Creationists is the caricature that so-called scientists who believe the Bible don’t do real science: they don’t follow the evidence, seek to explain the evidence, and just resort to a God of miracles to explain the mysteries revealed by the scientific method. I have not generally found that caricature to be accurate, although I could name a couple of writers who have, over the past 30 years, given biblical creationism a bad name. But poor representatives can also be found among secular, evolutionist scientists! Namely misotheists like Richard Dawkins, or those who resort to the belief that intelligent aliens seeded life on Earth, like Francis Crick. I’d like to think most secular scientists are more tolerant of religious beliefs than Dawkins, and more discerning than Crick. One recent good example of a creationist doing excellent work to seek understanding and to seek scientific explanations for physical evidence aided by his belief in the truth of the Bible is Michael Oard, and his paper, “Large cratonic basins likely of impact origin”. This is a very interesting paper (though a bit tough to get through due to technical jargon). In summary, since the moon evidences over 1800 massive (30km) impact craters (an argument cited from another of Oard’s papers, see fn #39), Earth should bear the scars of thousands of massive impacts of proportionate diameters (many 1000km+). Impacts fit the physical evidence of many of the very large continental basins which secular, uniformitarian geology struggles to explain. 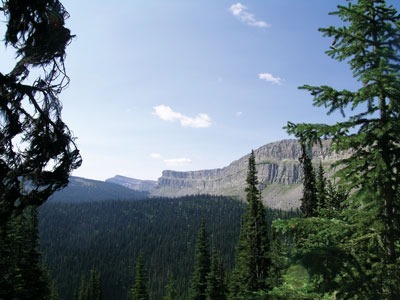 Basins like these include the Hudson’s Bay Basin, Belt Basin, Williston Basin, and also the South Caspian Basin and Congo Basin. The presence of huge amounts of sediment in these cratonic basins fits a theoretical model that thousands of astroids impacted the Earth early in the global flood. This model also provides a mechanism for a number of features of Noah’s Flood, including prolonged rainfall, uplifting, tsunamis, and current dynamics. Last week Justin Taylor lit up the evangelical blogosphere with his post to the Gospel Coalition website, titled, “Biblical Reasons to Doubt the Creation Days Were 24-Hour Periods”. I have frequently shared Justin’s blog posts on Facebook and Twitter. I admire his writing and his love for the Bible and his devotion to Christ. But I was saddened by not just the poor logic and biblical exegesis in his post, but also for the impact such a prominent writer can have on others, spreading his doubtful speculations to many who are not equipped to know how to respond to such reasoning. For this reason, I share a couple of my thoughts here, to equip and support people looking for biblical reasons to believe that Genesis means what it looks like it means. But I also want to encourage readers to take the time to carefully examine Justin’s argument, and, as Lita Costner wrote in her response (see below), to “ask yourself, ‘How many of these claims could I answer?’”. So below are a couple of my thoughts—responses that came to mind as I read Justin’s post, followed by a link to Lita Costner’s excellent rebuttal on the Creation.com website. So Justin’s use of Dr. Sproul as a corroborating authority is misleading or ill-informed. We see, indeed, that our ordinary days have no evening but by the setting, and no morning but by the rising, of the sun; but the first three days of all were passed without sun, since it is reported to have been made on the fourth day. And first of all, indeed, light was made by the word of God, and God, we read, separated it from the darkness, and called the light Day, and the darkness Night; but what kind of light that was, and by what periodic movement it made evening and morning, is beyond the reach of our senses; neither can we understand how it was, and yet must unhesitatingly believe it. Now for an excellent and thorough rebuttal of Justin’s arguments, I want to commend to you this article on Creation.com by Lita Costner. Was Jesus Wrong about the Generation of the Jews? There is a prediction made by Jesus in the New Testament that has led many to conclude that Jesus was a false prophet, or merely wrong, and therefore not the Son of God at all. However, the prophecy in Mark 13 included details that actually had not happened by the time everyone in that generation of the original hearers had died. That “generation” all died by around 100AD (give or take a few years), but still Jesus has not returned 1915 years later at the time of this post. So was Jesus wrong? A number of solutions have been proposed to resolve this difficulty. My favourite, until recently, was the argument that the Greek word, “genea” translated as “generation” can also mean “race” as in the ethnic group of the Jews. And so, I used to suggest, the prediction is actually that the Jews will survive as a people all the way up to the second coming of Christ. And I do believe they will. But I no longer think that is what Mark 13:30 and Matthew 24:34 mean. The things His hearers might see, and from which they would deduce the nearness of Christ’s return, could not include Christ’s return, described in v 26. Obviously it would make no sense for Jesus to say, “You will know my return is near when you see me return.” So the things Jesus’ hearers will see, according to verse 29, do not include events after verse 25, and possibly even further back as far as verse 23. The people who would see Christ’s return is a different group of people than Jesus is talking to in verse 29: in verse 26 Jesus says, “they will see” and in verse 29 Jesus says, “when you see”. Therefore there is a distinction in the whole prophecy about things Jesus’ hearers would live to see and things an unspecified future generation will be alive to see. This is the most likely understanding of the way Mark arranged this text, with a break at verse 23: “I have told you all things beforehand.” Everything Jesus wanted that generation living at that time to watch for, He had already predicted before verse 23. So why did Jesus go on after verse 23 to describe events far future from the lives of His disciples? The verses after v 23 then form a prolepsis looking ahead to what a future generation will be alive to see. Mark focuses Jesus’ prophecy in chapter 13 on the answer He gave to the disciples’ question in verse 4. But the disciples asked more than Mark records in that verse, and Jesus answered more than Mark records in chapter 13. The rest of the disciples’ question, according to Matt 24:3, included, “…and what will be the sign of your coming and of the end of the age?” That’s why Jesus also prophesied about His second coming and the end of the age. But Mark chose not to make those future events that main point of this chapter, rather he focused on the answer to the first question of the disciples about the frightening prediction that the Temple would be levelled. Nonetheless, as a fitting close to his account of Jesus’ prophetic words, Mark includes the final hope of the believer in this chapter: the second coming of Christ and of the end of the age. But He does not mean for the reader to interpret this to mean that the then living disciples would still be alive to see those future events. That’s why Mark records that Jesus switched the pronoun from “you will see” to “they will see” in verse 26. For all these reasons this difficult text in verse 30 is rightly interpreted to mean that the generation of the disciples alive at the time Jesus spoke these words, would not be all dead yet before they saw the destruction of Jerusalem, of the Temple, the survival of the Christian Church by fleeing to Pella, and the BEGINNING of the Jewish Tribulation that began in 70AD and continued, as Leviticus 26:34 predicted, “as long as [the Jews are scattered to their] enemies’ land…”. I can’t claim to have known Georges Wolinski, the 80-year-old cartoonist among the dead on Wednesday, but I met him briefly, a few years ago. Via Laura Rosen Cohen, I learn of the strange, circular journey of his life and death. His father was a Polish Jew who fled to Tunisia to lead a life free of pogroms. Georges was born there in 1934. Two years later, his dad was murdered, and the family moved again, this time to France. And on Wednesday, like his father, the son was killed. Wolinski [the father] fled Jew-hate in Europe to be murdered in the Muslim world. *The Greek literally reads, “So also you, when you see these things taking place…” emphasizing the the 2nd person “you” by the inclusion of the pronoun in addition to the 2nd person form of the verb, “to see”. **Someone might object that verse 29 goes on to say that then, “you know that he is near, at the very gates”, and that this must mean the disciples living then were told to expect the return of Jesus in their lifetimes. But the Greek [c.f. the KJV of verse 29] only says, “it is near, at the very gates”, not “he”: the word is third-person singular, and not masculine or neuter. Some translators choose to refer the pronoun to the antecedent in verse 26, “the Son of Man”. But the metaphor of the fig tree provides an antecedent in “Summer”, and Jesus could just as easily have in mind, “that tribulation” of verse 26 and verse 19, or the “end” of the city mentioned in verse 7 and predicted as the theme of the whole passage in verse 2. My point is that the end of verse 29 does not settle the debate one way or another since the verb “is” is neither masculine nor neuter. The miscarriage of justice in Furguson, St. Louis this Summer and Fall has sparked a deep, pre-existing unrest across the United States. From where I sit on Vancouver Island, BC, Canada, it does not appear that the same systemic injustices that produced Ferguson exist here. But there are certainly different systemic injustices and different inequalities and different grievances in our society. Last night my family and I were treated to an evening out to hear the Victoria Soul Gospel Choir and its irrepressible leader, Checo Tohomaso. Having grown up in Florida, Hawaii and Japan, and having performed with many of the greats of the American music industry, he injects into his music a rich heritage of Soul, R&B, Motown, Blues and Gospel. Lots of Gospel. He said last night that all the greatest singers (particularly referring, I think, to these genres) were preachers’ kids. He led us to sing and pray for peace. And he suggested that this music, and its cry for peace, came from the Church. It makes me contemplate why the same Church is short on real solutions or even answers to the questions Ferguson raises. Whether we are praying for the “peace of Jerusalem” or the peace of Ferguson, our prayers for peace result from a far deeper systemic pain than racism. A friend of mine shared an article on FaceBook this week about a gay man who was banned from an online “Gay Dads’ Group” for posting reflections on Ferguson. The pain goes deeper than race. As an LGBTQ activist himself, this dad knows the frustration of injustice. As the white father to a black child he knows his son will face not less pain and frustration, but more. Four Christian children in Iraq were beheaded this week for refusing to renounce faith in Jesus. The BC Government revoked an earlier decision to allow the private, Christian, Trinity Western University to launch a law school. Religion. Gender. Sexual orientation. Race. I’m not saying these kinds of discrimination are equally unfair, or trying to equate one with another. I’m just saying these are all symptoms of a deep problem. Our prayers for peace cannot find answers with the passing of some new legislation or charter of rights, or a march on the White House, or a movement on FaceBook. The problems go deeper than politics. And certainly movements like “No Gender December”, while well-intentioned, miss the point. Eradication of distinctiveness, of gender differences, can not solve the pain felt by victims of discrimination due to sexual orientation any more than it can solve the evil of racism. For the same reason that colonialism—the assimilation of one culture into another—cannot erase racism. Monochromatic solutions might sound like a good way to bring the world together, until we wake up to the insanity of refusing to appreciate our differences as well as what we have in common. Healing lies in the direction not of homogenous, bland, same-ness, but in the hope that it is possible to really celebrate diversity and not fear it. To not just tolerate each other’s differences, but love those differences. We must not merely combat hatred with cries for justice and fairness. As long as hatred exists in the human heart, laws cannot make us equal. We must fight hatred with love. But how? The problems not new. In the Bible, the first racial conflict in the Christian Church came about when Greek women felt they were being poorly treated in comparison with Jewish women. Poor people often felt unfairly treated in comparison with rich people (James 2). Christian leaders advocated to Christian slave-owners for the freedom of Christian slaves (Philemon). The Christian Scriptures in the New Testament are not unfamiliar with all kinds of oppression, mistreatment, discrimination and injustice. The thing is, most of the time it was the Christians who were on the receiving end of injustice—even from within the Christian community. But from the beginning to the end of the New Testament, the message is clear that injustice would be the normal experience for Christians. Because the world that hated our Lord, we are told, will also hate us. Why? Because I don’t think anything is quite so offensive to the secular-minded thinker than the claim of Jesus that the heart of the human problem is the problem of the human heart. That all of our division and discord is inherited from our spiritual condition—division and discord between each of us and our Creator. That the nature of the discord and division has to do with our sin. So pray for peace. But don’t think human effort or human legislation are going to change very much. These things are still worth pursuing, but know that the solutions achieved will only be partial and temporary. The solution we are looking for is the Gospel, the Good News proclaimed by Jesus Christ, that through Him it is possible to be reconciled to God. Reconciliation at the most basic, deepest level of our human nature—reconciliation between the human individual and the Creator of humanity. Reconciliation that works itself out gradually through the affirmation of a new, reconciled identity and assurance of unconditional love, into new grace, tolerance, forgiveness and patience in our human relationships. This is the message of reconciliation announced in the Christian Scriptures of the New Testament. 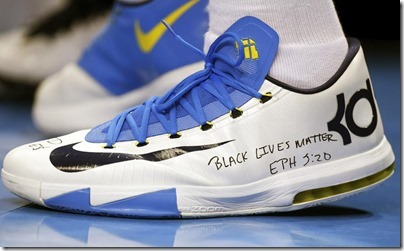 This is the message of reconciliation that confronted racism, slavery, sexism and poverty abuse. This is the message that offers a different and more permanent solution to the human problem. Not with a dream of homogeneity and so-called “equal” same-ness, but with a promise of everlasting celebration of reconciled diversity. But in the case of Denethor, the Steward serving when the heir of Isildur returned to claim the throne, he had long since forgotten what it meant to be a steward. Power corrupted him. Insanity destroyed him. The result was that he nearly destroyed the city and his own family in his mad neglect of his sacred duty to steward what belonged rightfully to his king. 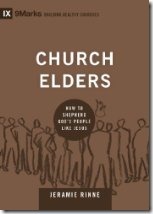 In Church Elders: How to Shepherd God’s People Like Jesus, Jeramie Rinne observes that Jesus has granted just such a stewardship to men who serve in local churches as elders. After his resurrection, Jesus passed on his teaching and proclamation ministry to the apostles (Matt. 28:19-2o). Just as Jesus’s teaching fills the Gospels, so the apostles’ teaching fills Acts and the Epistles. And as the apostles made disciples through their preaching and gathered those disciples into churches, they appointed elders for each church and entrusted them with the apostolic doctrine (Acts 14:23). Take a moment to marvel at this. Jesus is alive. He reigns in heaven and he rules over your church. And he exerts that kingly authority in your church through the Scriptures. Jesus’s subjects obey him today by obeying those Scriptures. So if you are an elder, when you teach the Word faithfully, Jesus is sovereignty ministering to his subjects through your teaching. This is a truly amazing charge we elders have been given. Considering the importance of this sacred trust, what should our ministries look like? Should our sermon preparation draw more from the Bible and less from other people’s opinions? Should our time in the Word be more saturated in prayer for the sake of stewarding our own faith first? Should we be much more in the Word than we are when busyness fills our week? I think the first punch that hit me when I read Rinne’s quote was that if I am to be a better steward than Denethor, I need to steel myself better with belief in the Gospel so that I am less concerned with whether my congregation liked my sermon than with doing everything in my power to ensure they have heard what their true King wanted them to hear from His Word. 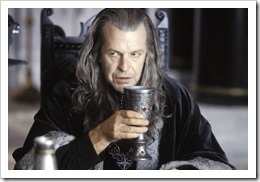 My people need a better Steward than Denethor. Gondor deserved better—but that was just fiction. Our charge as elders is not fiction. Your church deserves the best you have to offer. At the end of the story, our churches don’t belong to us at all. This is the third of three sermons in our series, Questions for Doubters. And today’s question–trying to give a voice to another serious objection to Christianity–is this: Don’t all religions lead to God in their own way? Aren’t all religious truth-claims equal? I think one reason this is a popular idea is that religious claims about truth and certainty invite a knee-jerk reaction: For many people, Christianity just seems arrogant, claiming Jesus is the only way to God, only the Bible is right about God, all other religions are wrong, only Christians go to Heaven, and so on. Nice people who respect other people don’t like arrogance. While atheists are only about 2% of the world’s population, and non-religious people are only about 16%, 88% of the people on Earth hold some kind of religious belief system–mostly in the big four: Christianity, Islam, Hinduism and Buddhism. So how can one religion claim to have a better handle on truth, a better path to God? Movies like Eat, Pray, Love reflect this popular, tolerant idea: Gandhi said “My position is that all the great religions are fundamentally equal.” Rama Krishna said “Truth is one; sages call it by various names.” The belief that “all religions lead to god; they are basically the same and no religion can be wrong” is called “religious pluralism”. It seems nice and tolerant, but if you think about it, it is the opposite. The problem is that if a devout, educated Muslim, Christian, Jew, Hindu and Buddhist walk into a bar (sounds like a joke, right?) and have a conversation, they will all hold core beliefs that contradict each other. If you try to harmonize those religions by stripping away the incompatible parts, what remains would no longer be recognizable to their own adherents as Islam, Christianity, Judaism, Hinduism or Buddhism. Attempts to harmonize religions are not tolerance, they are censorship—those attempts do violence to the sincere beliefs of most people on Earth. R.C. Sproul said, “We must note the difference between equal toleration under the law and equal validity according to truth.” Religions with contradictory truth claims can’t all be right. If there is such a thing as truth, then either, a) all religions are wrong, or b) one of them is right. We can, and should, be tolerant of the rights of all people to hold to their beliefs. But this doesn’t mean accepting them all as true. For to accept them all as true is to deny the truth of all religious convictions. While preparing this sermon for posting on the blog this afternoon, I and the other patrons of the coffee shop I’m sitting in were startled by the hysterical outbursts of an obviously very upset woman near the front of the cafe. I went and sat with her to help her calm down and find out what the trouble was. She had every reason to be hysterical. Her world had just been turned upside down and she felt like she had just lost everything—including the security of knowing where her next meal might come from. I found out she was hungry. And she started weeping, “God, help me! God, help me.” Imagine if I’d said, “Don’t worry, you are God. The answer to your problems is within you.” Instead I bought her a sandwich and a cup of coffee, and when she calmed down she used my phone to call some friends for help. Hindu answers seem woefully inadequate to the problems of real people. Is Islam “Factually Verifiable?” As we watch on TV (in 2014), images of the Islamic State executions and conquests in Syria and Iraq, we come face to face with a system of religious belief dating back to the self-proclaimed prophet, Muḥammad ibn `Abd Allāh, around 600 years after Jesus. It is a religion centred around Muhammad’s writings in a book called the Koran. Historians of religion note that Islam is really a Christian “heresy” since, as historian E.O. James said in History of Religion, “…[Muhammad] got most of his material from late forms of Judaism and Christianity, often curiously distorted and garbled.” Muhammad taught that Jesus was “the Word of God”, the greatest prophet, that he was sinless, born of a virgin, and performed miracles (Sura 4:169; 3:36, 37 & 19:19). But against the historical and manuscript evidence I talked about in my first post in this series, and in the second post, most Muslims still believe today, as they have been taught, that Jesus never died on the cross and was never resurrected, but was snatched away to Heaven by God. Muhammad could not accept the historical reality of Jesus crucifixion because he believed that it would mean God had failed Jesus–and that’s the whole point of the religion of Islam, an Arabic word that means “surrender”, that God, or Allah, always wins and all people must submit to God by submitting to Islam. Therefore, holy war is commanded in the Koran, in order to spread Islam. Muhammad planned 65 military campaigns and saw the expansion of his religious empire throughout the Arabian Peninsula. After his death, many of the the historic centres of the Christian faith, Jerusalem, Antioch, Alexandria, North Africa–these became Muslim, not by the spread of beliefs and ideas but by war. After the crusades, Islam spread under the Turks to conquer the centre of world Christianity at that time, the Byzantine Empire, which has been Islamic, modern Turkey ever since. In the Koran, Sura 66:9 says, “O Prophet! Strive against the disbelievers and the hypocrites… Hell will be their home…”. Because of passages like this, historian Sir Steven Runciman wrote, “Unlike Christianity, which preached a peace that it never achieved, Islam unashamedly came with the sword.” Drs. Kumar and Sarfati conclude, “So while atrocities committed in the name of Christ, such as during the Crusades, were inconsistent with the teachings of Christ, the atrocities committed by Muslims are consistent with Muhammad’s teachings and actions.” You and I know most German citizens were not in favour of the extermination of 6 million Jews at the time of the Holocaust– and most Muslims today want peace not war. But the events unfolding in Syria, Iraq, Somalia, Sudan, Egypt and Libya today show that many Muslims follow Muhammad’s example. Other Islamic governments who seem moderate by comparison, Saudi Arabia, Jordan, Iran, UAE, etc., actually don’t disagree with the militant hopes of more violent groups—they essentially disagree with their methods! Some will argue that the Bible promotes violence as well, but I would argue that’s a misinterpretation. For example, passages where war is commanded or violence narrated and at times condoned, are balanced with an explicit commandment, “thou shalt not kill”. (One of the most horrific stories in the Bible, in Judges 19, seems on the surface to condone brutal violence, not to mention mistreatment of women. But a closer reading reveals that the story is in reality a judgement, a condemnation of the disregard for human life and rampant immorality found at that time in the nation of Israel—which had suffered massive moral decline to the point that happenings in Israel were no better in places than had been the case in former times when the land was populated by the Canaanites, c.f. Judges 20:4-10. According to the biblical account, then, just as the immorality and abuse of human life rampant among Canaanites led to the condemnation and conquest of their nation, God condones holding people—even in Israel in Judges 19-20, responsible for their own immorality and abuse.) God requires justice for crimes of evil. But as the Bible’s story unfolds, and God’s plan is revealed in greater and greater detail, the later passages of the Bible reveal that love triumphs over justice: Jesus’ teachings call for love, peace, reconciliation and mercy. Contrary to much public opinion, from the beginning of the biblical storyline, God reveals that His will is for all people to love one another, respect life, protect the weak and vulnerable, and yes, enforce justice in the face of evil. We celebrated Remembrance Day in Canada just a couple of weeks ago. On that day we remember the sacrifice of Canada’s men and women who served in various wars to see justice enforced and evil restrained. World War II is a prime example: no one would say the war was what civilized people wanted. But morality demanded that our nation and others take a stand to confront evil, stand in its way and say, “Stop!” The Bible shows God stepping into a messed up world to put a stop to evil. At first by providing a moral code, and judgement by force; in the end by changing hearts through the Gospel of Jesus Christ. In contrast, Muslims are taught to reconcile apparent contradictions in the Koran by giving more weight to the later writings: these got more and more violent as Muhammad got older and more powerful. His rantings become progressively more severe and in favour of violence and war against unbelievers. You would think that a divine call to war against infidels would have strong support in historically verifiable proofs that Muhammad was a true prophet of God. But Islam doesn’t have such proof. There is no evidence Muhammad’s scriptures came from God–and the writings attributed to him are not consistent with the teachings of the other prophets he said came before him, like Moses and Daniel and Jesus. So not only are Muhammad’s writings lacking verifiable historical proof, they are inconsistent with and contradictory to the writings of earlier prophets Muhammad himself claimed God had sent. Maybe It’s Time to Doubt Your Doubts? In their book, which I relied on a lot for this sermon, Kumar and Sarfati show Christianity is unique. Every Sunday in this church we preach the Bible to show that Jesus is God’s Saviour and Solution to humanity’s deepest problems: to death, suffering, despair and sin. We preach the Gospel–that what the Bible records happened through Jesus in real history is “Good News,” hope in which God invites every human being to discover for themselves. But today let’s finish by putting Christianity to the test we used for other religions: Is it 1) Logically Consistent, 2) Factually Verifiable, 3) Existentially Liveable? But is Christianity “existentially liveable”–can you live it out in a real and authentic way? It is commonly supposed that when in the early modern period individuals began to look at the world in a different way, they could no longer believe what they read in the Bible…the reverse is the case: …when in the sixteenth century people began to read the Bible in a different way, they found themselves forced to jettison traditional conceptions of the world. Strange as it may seem, the Bible played a positive role in the development of science… Had it not been for the rise of the literal interpretation of the Bible and the subsequent appropriation of biblical narratives by early modern scientists, modern science may not have arisen at all. In sum, the Bible and its literal interpretation have played a vital role in the development of Western science. ” And the Word became flesh and dwelt among us, and we have seen his glory, glory as of the only Son from the Father, full of grace and truth… For from his fullness we have all received, grace upon grace. For the law was given through Moses; grace and truth came through Jesus Christ. No one has ever seen God; the only God, who is at the Father’s side, he has made him known,” and, “But to all who did receive him, who believed in his name, he gave the right to become children of God,” (Joh 1:14-18, 12). There are many religions. But there is only one God. And Jesus Christ is how He invites us to know Him. 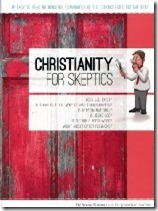 Christianity for Skeptics, Steve Kumar and Jonathan Sarfati (Creation Book Publishers, 2013), p 137. Sproul, R.C., Objections Answered, G/L Publications, California, p. 40, 1978. Quoted in Ibid., p. 138. Kumar & Sarfati, p. 177. Sen, K.M., Hinduism, Penguin Books, Middlesex, p. 37, 1961. Quoted in Ibid., p 141. Radhakrishnan, S. The Hindu View of LIfe, London, p. 38, 1931. Quoted in Ibid. Barbour, I., Issues in Science and Religion, Prentice-Hall, Englewood Cliffs, NJ, p. 234, 1966. Quoted in Ibid., p. 144. Quoted in Head, J. and Cranston, S.L. (Eds. ), Reincarnation: The Phoenix Fire Mystery, Warner Books, New York, p. 61, 1977. Quoted in Ibid., p. 170-171. Morgan, K.W., (Ed. ), The Path of Buddha, Ronald Press, New York, p. 71, 1956. Quoted in Ibid., p. 146. Chesterton, G.K., The Everlasting Man, Hodder & Stoughton, London, p. 21, 1947. Quoted in Ibid. James, E.O, HIstory of Religions, English University Press, London, p. 190, 1956. Quoted in Ibid., p. 149. Neill, S., Crises of Belief, Hodder & Stoughton, London, pp. 81-82, 1984. Quoted in Ibid., p. 149. Quoted in Lundstrom, ref. 454, p. 37. Quoted in Ibid., p. 152. Harrison, P. The Bible, Protestantism and the rise of natural science, Cambridge University Press, 2001. Quoted in Ibid., p. 132. Harrison, P. “The Bible and the rise of science, Australasian Science 23 (3):14-15, 2002. Quoted in Ibid. I shared this illustration recently with someone in my city in a conversation, and then again relayed the same illustration to some friends who are pastors. They told me it was a helpful approach to talking to people who excuse sin claiming to be “good people”. So I’m sharing it here on the blog in the hopes that it might be helpful to you. Someone might say, “How can you say I’m a sinner and need to repent when I’m a good person?” And a little common sense shows that we’re only “good people” when we compare our goodness to someone else’s badness. What if we compared our goodness to God’s? If you and I witness Adolph Hitler being beaten on the street by a gang of hoodlums, we would probably take pictures and cheer them on. Adolph Hitler is a bad person, so when someone treats him badly it doesn’t seem like a bad thing. But if we then witness the same gang beating and molesting an innocent 5-year old girl, we would stop taking pictures and call the police or rush in to protect her. A 5-year old girl is certainly an innocent, good person, so when someone treats her badly it seems very bad indeed. But what if we have mistreated God? If God is as holy, righteous and deserving of our whole worship and love forever, as the Bible claims, then even merely ignoring Him, much less, rebelling against Him and even hating Him, is infinitely worse than mistreating the most innocent child. Since God’s goodness is, according to the Bible, infinitely more good than even the most deserving of His creatures, crimes against God suddenly appear to be hideously evil–even when committed by people who compare favourably to other worse people.